We're still a couple of weeks away from Saint Patrick's Day but I'm already digging through recipes for this year's dinner menu. 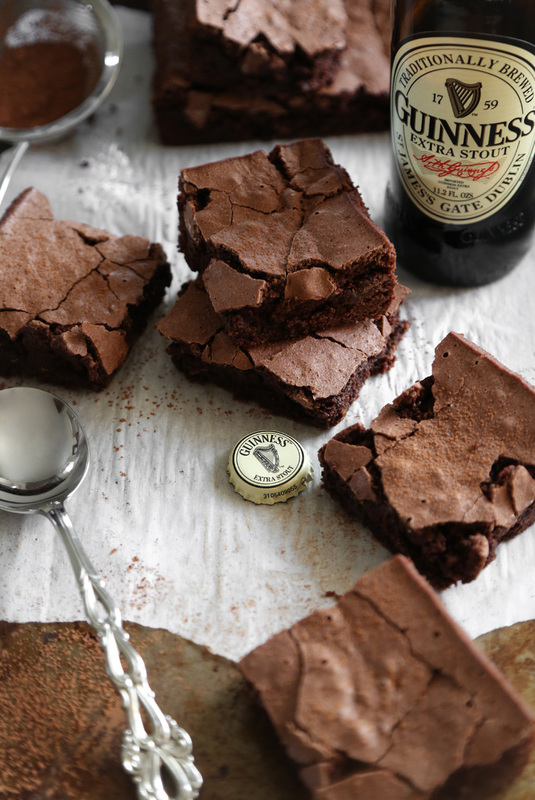 So far I've settled on potato and leek soup with Irish soda bread and these SUPER easy Guinness brownies for dessert! The thing I love most about this brownie is its crackled top. When the brownies are cut, all kinds of beautiful fault lines break across the surface. 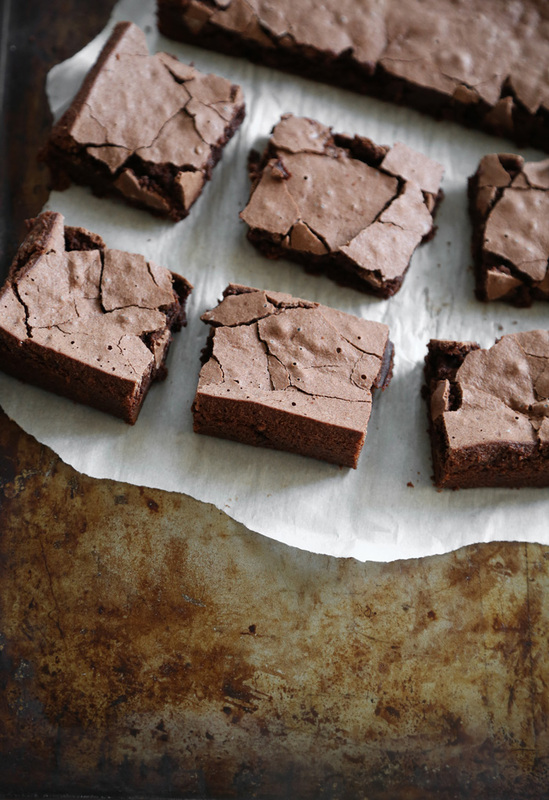 It makes the most delicious contrast to the gooey, fudgy brownie interior. The secret to the moist, rich center is egg yolks. You'll need a whopping 7 for this recipe, but trust me, it'll be worth all that separating yolks from whites for the end result (and if you like egg white omelets then you're all set!). Good news! 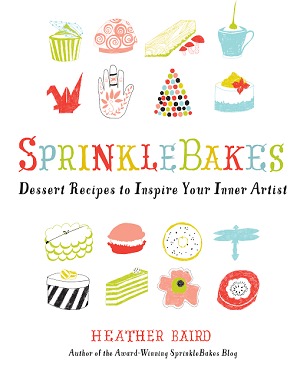 You won't even need to turn on your electric mixer. 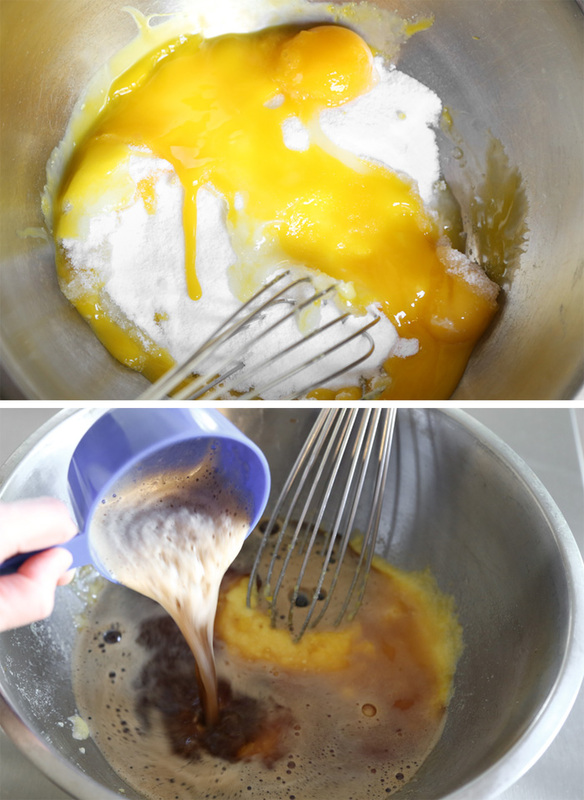 Just grab a big mixing bowl and whisk together the yolks and sugar. Whisk in the bubbly Guinness Extra Stout. Whisk in the flour and cocoa and then pour into the prepared pan. Thirty-ish minutes later you'll have a fine pan of brownies! This recipe is very basic, so feel free to gussy it up with salty nuts or other mix-ins. These are intensely rich with just a hint of stout beer flavor lingering in the background. There's no better way to enjoy these brownies than with a big scoop of vanilla ice cream on top followed by a generous covering of hot fudge. Enjoy! I love how simple these are with so few ingredients! These are perfect for any event, just bake the day before and everything is ready! Loving your five ingredients posts! 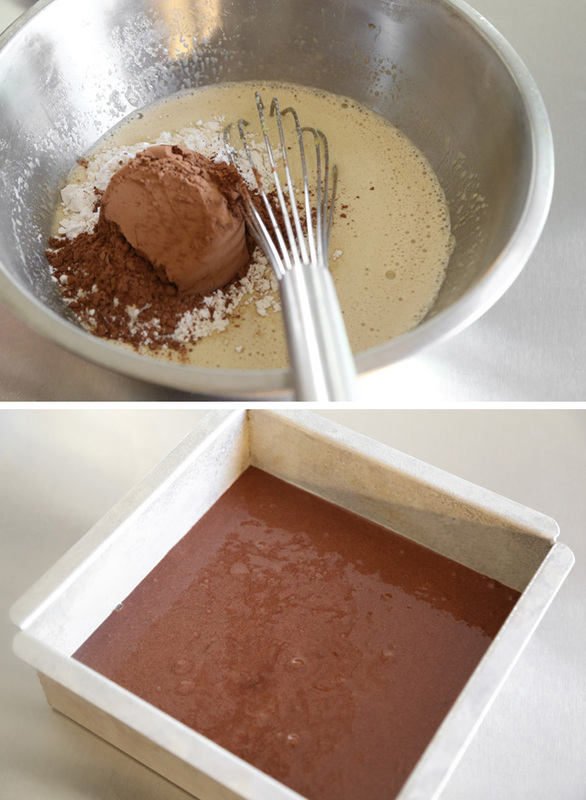 I never have separated the eggs when making brownies and now I'm desperate to try this! 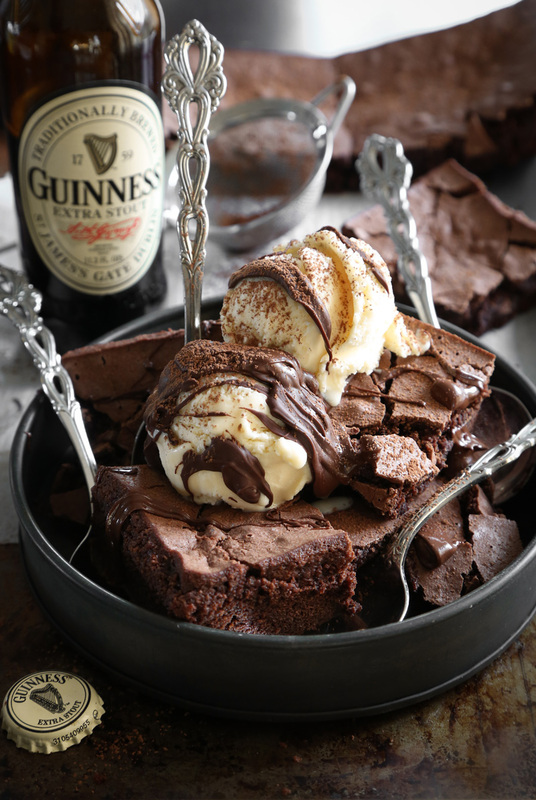 Another reason to try these brownies - Guinness! I've had chocolate guinness cake so why not in brownies!?! Can't wait to try these! These look wonderful and just in time for St. Patrick's Day. Thank you for sharing! Do you have any recommendations for making the beer flavor more pronounced? I've made stout brownies in the past and the beer flavor never comes through strong enough for my tastes. The flavor in this recipe is subtle, too. You could try making a stout reduction on the stovetop (1 cup stout boiled down to 2 tablespoons concentrate) and add it to the batter. I've not tried this method in baked goods, but I've used beer reductions in puddings and no-bake pie fillings with success. These brownies are stunning, and I can't believe they're only 5 ingreidnets! I need to try some Guinness in ym brownies. Love these! 5 ingredients, for reals? That's the best news ever! 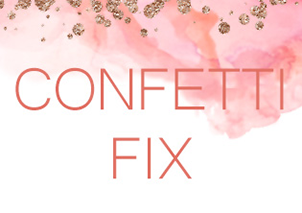 These look like the perfect treat for March! Tested last night, really good texture. Will add pistachios next time. Oh my gosh you are so totally right! Hilarious. Ron Swan FTW! Oh my glory - I just made these and they are SPECTACULAR! Now, all that remains to be seen is if any of them will last till tomorrow... it's not looking good, to be honest. Thanks for the fantastic recipe. Hi! I use 1 teaspoon baking powder and 1/2 teaspoon salt added to 1 cup all-purpose flour. Occasionally I'll add 1/8 teaspoon baking soda in addition if I feel the particular recipe at hand needs a little more help rising. These look delicious! Do you recommend dutch processed cocoa powder or regular? Do you also have a recipe for the fudge you used? ohmygod i just made this and i used baking flour and i forgot to add the baking powder and salt D: do you by chance have any idea how they'll end up? Hi! I may be a little tardy with my reply - I do not think you'll have a total disaster, and they'll definitely be chocolate pudding-like in the center. You'll miss the salt. I'd be sure to serve with ice cream. You could sprinkle a bit of flake sea salt on top if you have it!!! I hope they turned out okay!!! hey I'm the one that forgot the baking powder and salt, and I confess the texture was a bit too.... dry? for my taste but otherwise the brownies were delish! also I used brown sugar instead and the brownies had a veery slight crunch to the texture. Twas excellent in spite of my mishaps and many thanks for the recipe! I used the baking soda/salt because I didn't have self rising four. However when I took them out of the oven they all fell in. Any idea what I did wrong and what to change for the next batch? 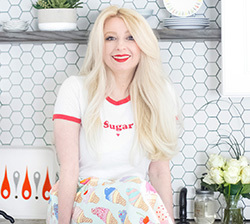 I can't recommend using less sugar in this recipe. There are so few ingredients and each one is measured to perform a task. Perhaps that's why they weren't delicious. 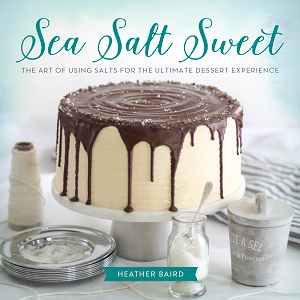 It’s also important to remember that sugar plays the role of liquifier in baking which means higher ratios result in a soft, tender interior. I made these for St. Patrick's Day today! 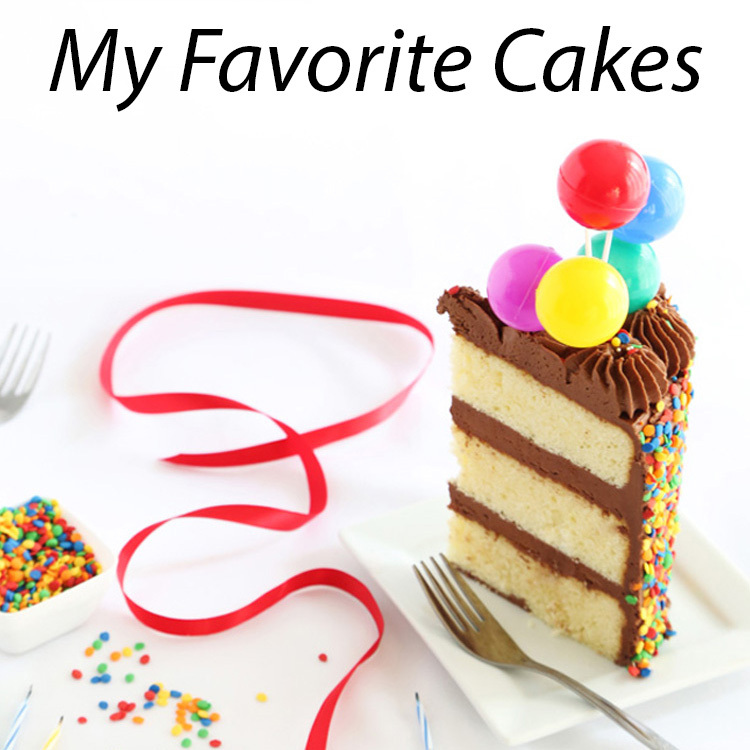 I loved how simple they were to make -- I didn't even have to break out my stand mixer! The outside of the brownies were crisp and the centres were nice and chewy. I found that the taste of the Guinness stood out nicely. Perfect topped with some vanilla ice cream.